For more information, click on book cover above. © Charles Aaron, Steve Black, Mark Boda, William Sanger Campbell, Wally Cirafesi, Laura Copier, Zachary K. Dawson, James Dvorak, Scott S. Elliott, Francis Landy, Jesse Long Jr., Calogero A. Miceli, Bryan Nash, J.R. Reber, Stan Porter, Phil Ruge-Jones, Leon Seaman, Robert Tannehill, Matthew Whitlock, Gary Yamasaki and perspective criticism, 2012-2018. Unauthorized use and/or duplication of this material without express and written permission from the author and/or owner is strictly prohibited. 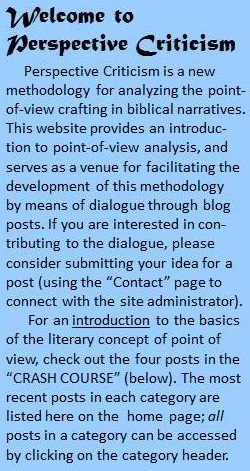 Excerpts and links may be used, provided that full and clear credit is given to the author and perspective criticism with appropriate and specific direction to the original content.